Learn to dash down the snow slopes of Mt. Apharwat during this skiing course in Gulmarg. Perfect for beginners looking to carve their first lines in the snow, this course will teach you the basic skills and techniques required to learn the art of skiing. Accompanied by experienced skiing instructors, you'll spend about 5 hours traversing the snow-laden mountains of Gulmarg every day. From skiing down the slope in a fluid motion to safely landing at the bottom of the trail, you'll learn to have maximum fun while maintaining the proper safety protocols. Designed to introduce beginners to the dazzling adventure sport of skiing, this is not a difficult or strenuous course. However, it does require travellers to spend several hours every day practicing the sport in the chilly weather of Gulmarg. One of the handful of skiing destinations in India, the hill station of Gulmarg, set to the backdrop of the Pir Panjal mountain ranges, has played host to skiing enthusiasts since the 1960s. In the winter, the mountain slopes of Mt. Apharwat near Gulmarg are blanketed with inches of thick snow, with some of the deepest powder around. Coupled with the highest ski gondola in the world at 13,620 feet, the slopes of Mt. 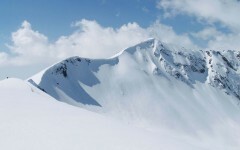 Apharwat allow for excellent skiing conditions. The wide variety of terrain, from steep inclines for experts to bunny slopes for beginners, the winter landscape of Gulmarg is a paradise for skiing enthusiasts from all over the world. • Learn the adventure sport via a skiing course in Gulmarg. • Earn a certificate upon successful completion of the course. • Stay at a luxurious hotel and spend days learning to ski. • Enjoy skiing down the snow-covered slopes of Mt. Apharwat. • Explore the picture perfect hill station of Gulmarg. Travellers are required to adhere to instructions of the skiing instructor during the skiing course in Gulmarg. Consumption of alcohol, drugs, tobacco products and cigarettes is strictly prohibited during the skiing course in Gulmarg. For cancellations made more than 90 days before departure of the Gulmarg skiing course: 100% refund. For cancellations made on or less than 90 days before departure of the Gulmarg skiing course: No refund. It is mandatory for travellers to have travel insurance that covers on-piste snow sports. The itinerary displayed for this trip is only a sample, indicative itinerary. The specific itinerary is decided the night before or in the morning, based on snow conditions, weather predictions and other logistical concerns including health and ability of the traveller. The cost of ski lift is not included in this package. The total cost incurred by the traveller largely depends on the health and ability of the traveller. However, this cost does not exceed INR 1,000 per skiing day for most travellers. Most travellers can expect to ski over a 650-feet long trail. However, depending on health and ability, travellers can graduate to longer trails as well. The tour operator reserves the right to cancel or alter the itinerary of the skiing course in Gulmarg to maximize the safety of travellers as well as staff. Arrive at the Srinagar International Airport. Here, you'll board a private transfer vehicle and travel to your hotel in Gulmarg. After a 2-hr drive, you'll arrive at Gulmarg and meet your team of skiing instructors. You'll have a short briefing session that will cover snow conditions, avalanche safety and skiing protocols. Take some time to check and prepare the equipment for the next day. If you have time, you can also go out to explore the town of Gulmarg. Overnight at Gulmarg in a hotel. Suit up with ski apparel before heading for the slopes. Meet your skiing instructor and set off for your first lesson on a 2-degree gradient bunny slope. You'll begin with the basics of the sport and learn to handle the skiing equipment and the snowplough. The specific itinerary for the day is decided the night before or in the morning, based on snow conditions, weather predictions and other logistical concerns. Gulmarg gondola that extends over 13,620 feet on Mt. Apharwat. Meet your skiing instructor and set off for your second lesson on a 4-degree gradient bunny slope. You'll practice skiing, with a focus on control, speed and taking turns. Your instructor will guide you with every step as you learn to stop at the bottom safely. The specific itinerary for the day is decided the night before or in the morning, based on snow conditions, weather predictions and other logistical concerns. Learn to properly handle your skiing equipment. Meet your skiing instructor and set off for your third lesson on a 6-degree gradient bunny slope. You'll try to correct your errors and mistakes and learn to distribute your weight correctly. You'll also perfect the Snowplough and advance into more detailed lessons in skiing. 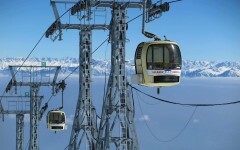 You'll also take a round trip on the Gulmarg gondola to the top of Mt. Apharwat. The specific itinerary for the day is decided the night before or in the morning, based on snow conditions, weather predictions and other logistical concerns. Dreamy winter paradise of Gulmarg. Check out of your hotel in the morning and travel back to the Srinagar International Airport. Your trip ends here. All equipment required for skiing: skis, poles, boots etc. Arrive in Srinagar and spend the day acclimatizing to the high-altitude. You'll be transferred to Gulmarg in a private transfer vehicle. You'll be accommodated at a hotel in Gulmarg on triple-sharing basis. Today's meal package includes dinner only, but you may visit any of the restaurants in Gulmarg to have meals at an additional cost. Meet your instructor and complete your first lesson in skiing. You'll be accommodated at the same hotel in Gulmarg on triple-sharing basis. Today's meal package includes breakfast and dinner, but you may visit any of the restaurants in Gulmarg to have meals at an additional cost. Meet your instructor and complete your second lesson in skiing. You'll be accommodated at the same hotel in Gulmarg on triple-sharing basis. Today's meal package includes breakfast and dinner, but you may visit any of the restaurants in Gulmarg to have meals at an additional cost. Meet your instructor and complete your third lesson in skiing. You'll be accommodated at the same hotel in Gulmarg on triple-sharing basis. Today's meal package includes breakfast and dinner, but you may visit any of the restaurants in Gulmarg to have meals at an additional cost. Today's meal package includes breakfast only. Check-out of the hotel by morning. You'll be transferred to Srinagar Airport. Your trip ends here.